The FNX-9 features an ergonomic, polymer frame with a low-bore axis for less felt recoil and improved control. The grip panels are checkered and ribbed for comfortable, no-snag carry. Two interchangeable backstrap inserts quickly adapt the FNX to your hand size. The profiled stainless steel slide has cocking serrations front and rear, and the 4-inch cold hammer-forged, stainless steel barrel delivers pinpoint accuracy. 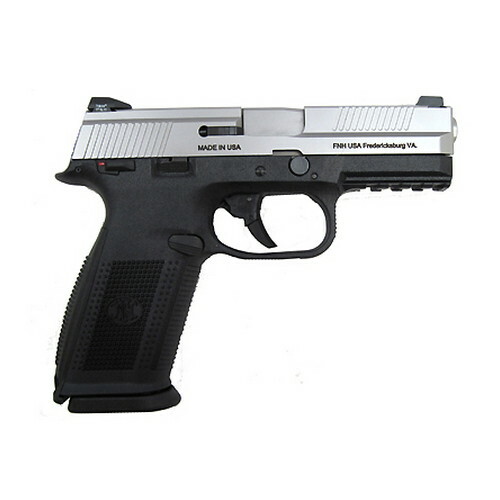 Ambidextrous operating controls make this handgun perfect for competition or personal defense. Made in the USA.